In my last post I mentioned blogger mail and the amazing things I get gifted by great brands. When I received an email from the lovely Dan from Jord asking if I'd like to work with them, I literally didn't believe it! 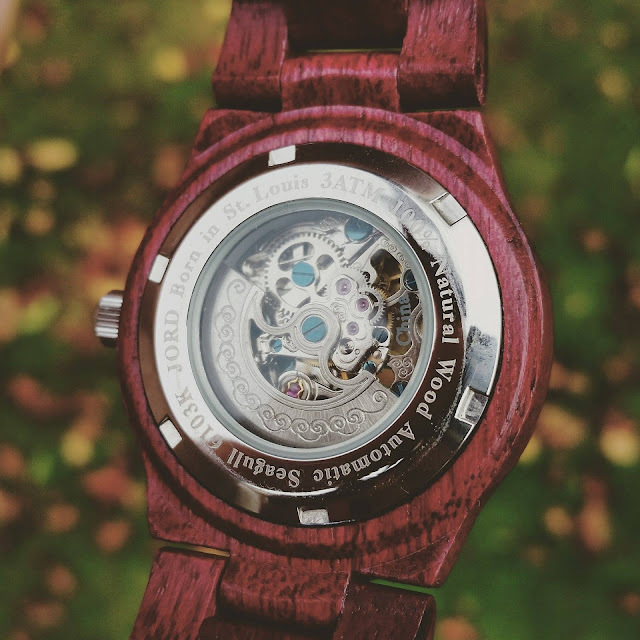 I'd followed the Wood Watches Instagram page for over a year, always admiring the stunning time pieces. 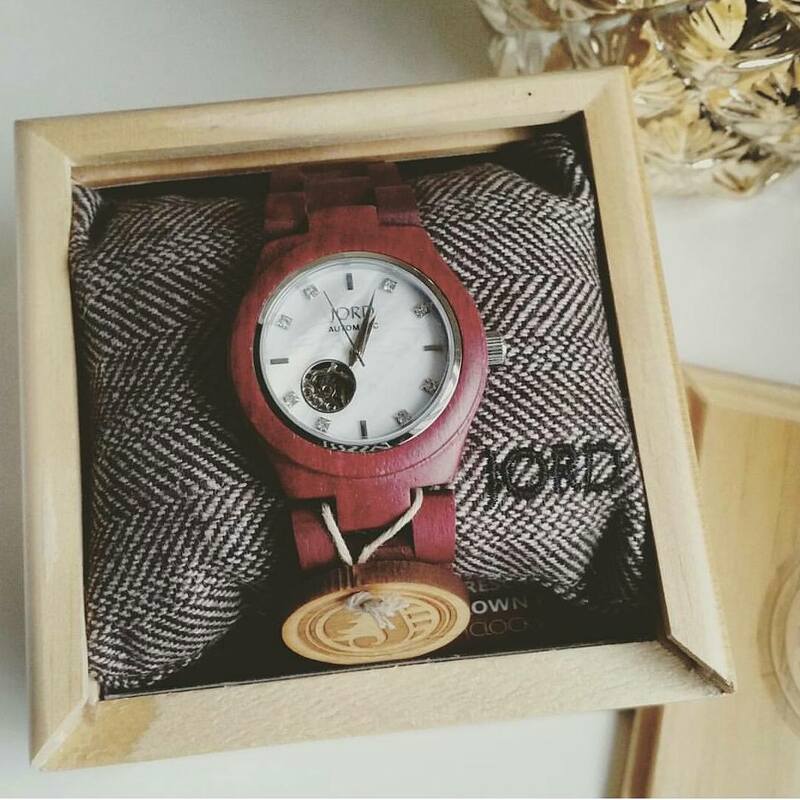 The watches are crafted from beautiful natural wood, all unique and designed by people with a passion for creativity and life! 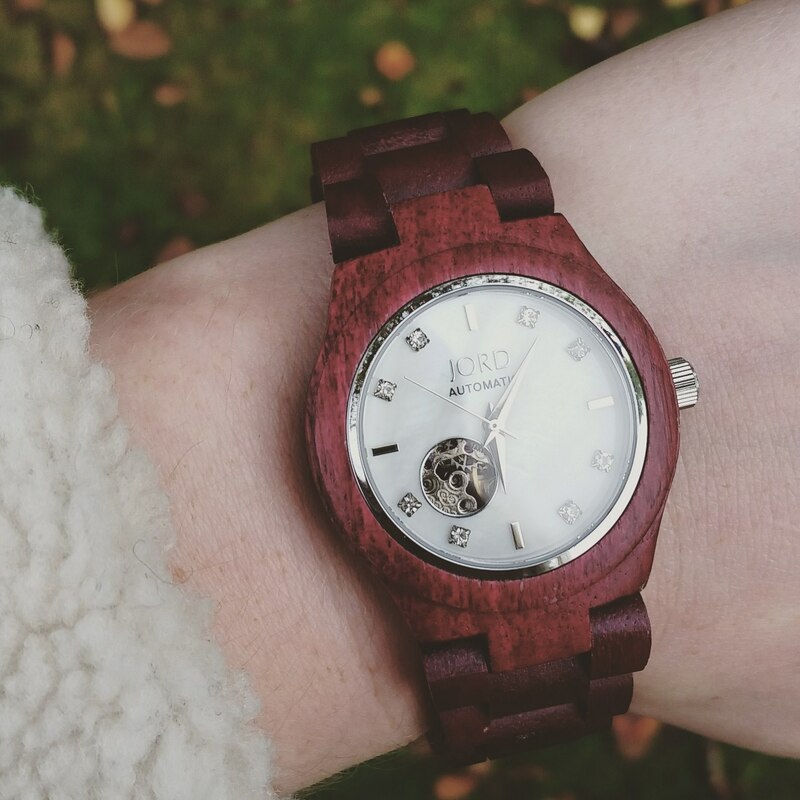 After a lot of deliberation, I chose the Cora Purpleheart and Mother of Pearl Wood Watch. It was a hard choice to make, as I genuinely could have chosen them all! The deep colour of the Purpleheart wood, was what eventually led to my decision. I'd never seen a colour like it, and I knew it would be perfect for autumn. It was only after the first day of wearing it that I noticed the back of the watch. It is so beautiful that I had to take a picture. It is transparent and allows you to see the intricate workings of the watch. It is self winding and automatic which means it requires no battery at all. This totally amazed me, as a watch novice, I didn't know this was possible. Again, just showing the complete quality that runs through the entire product. 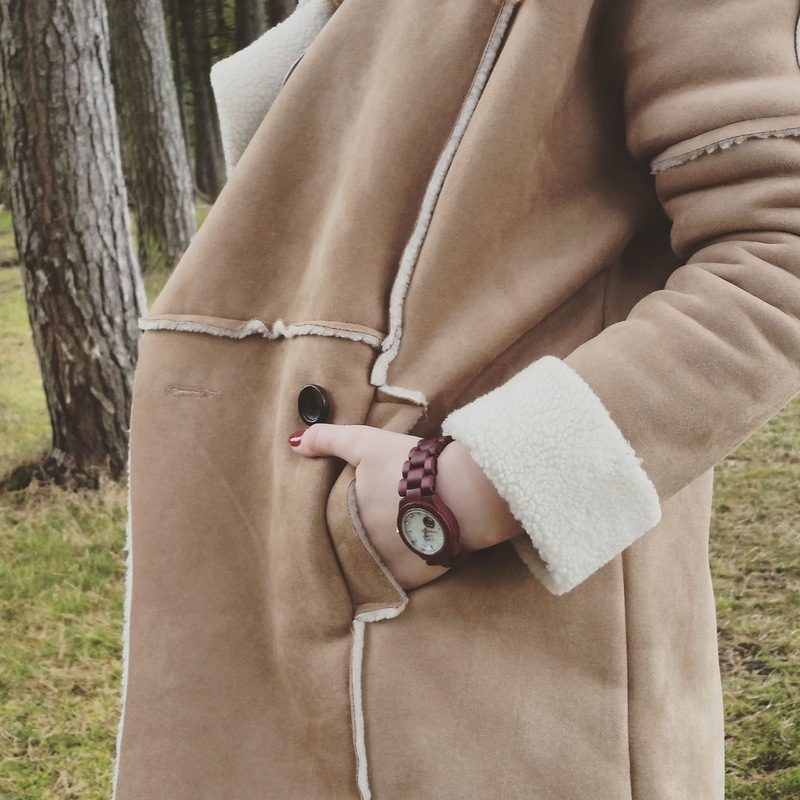 The photos I took were on the Wood Watch's first outing. I teamed it with my shearling coat and winter boots. We went to a local National Trust Park and it was the perfect setting for some impromptu photos. 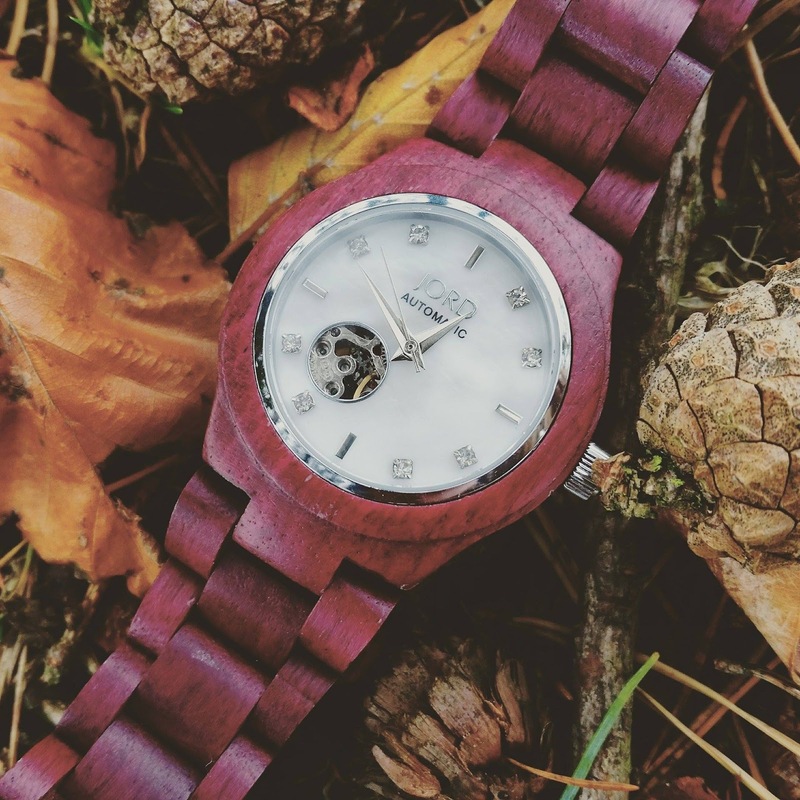 My watch looked at home in the park, blending in with the forest and fallen leaves. I got quite arty, and (very carefully!) lay it down amongst the pine cones and grass. As I've mentioned before, I've been gifted beautiful things in my blogging 'career', but this is a piece that will last a life time. I have worn it every day since it arrived, and it's something that I get compliments on every day. Its simple elegance compliments every outfit, dressed up or down. A heartfelt thank you to the lovely people at Jord, you have converted me into a watch enthusiast, I can not be without it!